How to get started with building designs in Fortnite: Battle Royale. Our Fortnite: Battle Royale Base building design tips and ideas guide contains advice on how to quickly and efficiently build structures when you’re on the offense or defense. Editor's Note #2 : Right at the bottom of this guide we've linked a very useful video which'll help you with editing structures! Myth is one of the best players out there, and when it comes to building structures he's easily the fastest we've seen. By no means are we saying that you can reach his level of building prowess instantly after reading this article, but it's worth watching how he utilises different structures to outmaneuver and outposition his enemies in order to win the fight. Read on to learn about some of the most essential structures you'll need to cobble together to win more games. Finally, make sure you're managing material usage. Keep an eye on how much of each resource you've got to hand before you start building so you don't run out mid-fight. By placing walls down, you can use them to absorb bullets while you’re doing a runner. Alternatively you can place them in front of you while facing an opponent to minimise damage and fake them out. Wood isn't liable to break as easily as metal or brick when it's first placed. This makes it a must-use resource when planting it down in a hurry. Think of this as Panic Ramps V3, as it’s got two different variants. The first is a basic structure that provides great cover and a decent height advantage. The second expands on this to give you a wide platform on which you and your team can survey the whole area safely. When you've placed a structure like a basic wall, you can go ahead and edit it to transform it into something else. For example, you can create a doorway or turn a wall into an archway. Learn to do this fast and you can completely outplay opponents! 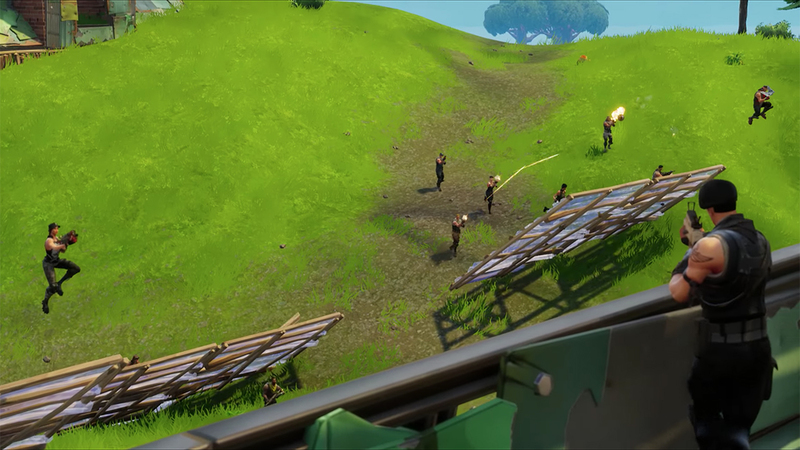 For a complete grounding in all the ways a structure can be edited in Fortnite: Battle Royale, we've embedded a video by Resume Gaming which is incredibly helpful. Do make sure you give it a thumbs up to support the creator, as this video is an invaluable resource!